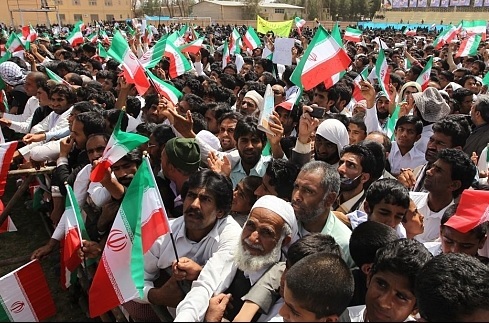 The Baluch are among the two most independent and defiant ethnic groups in Iran. Over the past few decades, several Baluchi groups have fought Iran’s theocratic regime—as well as the neighboring Pakistani government—for greater autonomy or independence. In Iran, the Baluch total at least 1.5 million, or less than two percent of the 82 million population. Predominantly Sunni, they are also a religious minority in an overwhelmingly Shiite country. The Baluch insurgency has largely been limited to Iran’s easternmost Sistan-e Baluchestan Province. Baluch identity, reinforced by their own language, is distinguished by a strong tribal kinship in a clan-based society. Like other minorities in Iran, they have suffered political, cultural and socioeconomic discrimination. They are underrepresented in the military and local government. “Areas with large Baluchi populations were severely underdeveloped and had limited access to education, employment, health care, and housing, with Baluchi rights activists reporting that more than 70 percent of the population lives under the poverty line,” according to the U.S. State Department. In 2016, the government reportedly sent hundreds of Shiite missionaries to Baluchi areas to try and convert the local population. Some insurgent groups have cited poor socioeconomic conditions as a key reason for their rebellion against the central government. The remote location of Sistan-e Baluchestan province, which borders Pakistan and Afghanistan, has made it a hub for smuggling, an alternate economy. After the 1979 Iranian revolution, Baluch separatists reportedly began to receive support from regional countries and world powers. Tehran has specifically accused the United States, Britain, Israel, Pakistan, and Saudi Arabia. One CIA memo reportedly cited Israeli Mossad officers posing as American agents during a meeting to give financial support to Jundallah members. In February 2017, Iran announced that security forces had killed 17 militants in the previous 11 months in the province. In April 2017, militants killed two members of the Revolutionary Guards and assassinated a senior commander. Authorities did not specify the attackers’ affiliation. On April 26, the militant group Jaish ul Adl killed 10 Iranian border guards near the Pakistani border. The following four groups are among the most active or militant Baluchi movements. Formed in 2003, Jundallah, or “Soldiers of God,” is a Baluch militant group in Sistan-e Baluchestan. Membership is estimated to be up to 2,000. The movement is Islamist in its agenda, imagery, language and practices. Its founder, Abdolmalek Rigi, was radicalized in a Pakistani madrassa in the 1990s. Jundallah’s logo is its name in Arabic script above an open Koran. An outstretched arm holds up an assault rifle. Its goals are to fight for Sunni rights and improve economic conditions in their province. The only thing we ask of the Iranian government is to be citizens. We want to have the same rights as the Iranian Shiite people. That's it. We do not want discrimination between Sunnis and Shiites in this country. The Shiites are free to talk about their beliefs in public, to criticize and challenge the Sunni beliefs, by means of their books and the media. A Sunni, however, is not allowed to defend his beliefs, and to respond to the lies that the Shiites level against them on TV, in radio, in the press, and so on. Sunnis are not allowed to defend their beliefs in any way. If a Sunni scholar dares to speak out, he is immediately sent to the darkness of jail – not because he committed any crime, but merely for defending his faith, responding to a book that contained lies about his school of thought, or clarifying a suspicion raised by the Shiites. The Iranian government characterizes Jundallah as a radical separatist movement. Since 2005, it has carried out attacks on both government and civilian targets, including kidnappings, ambushes and bombings. In 2005, it allegedly ambushed President Mahmoud Ahmadinejad’s motorcade near Zabol, killing one of his bodyguards. In October, 2009, 40 people were killed in a bombing in Pishin; 15 were Revolutionary Guards, including veteran commander Noor Ali Shooshtari. Jundallah is also reportedly involved in narcotics and oil smuggling. Rigi has denied allegations that the organization has ties to al Qaeda and that it is a separatist movement. Iran claims that the United States, the United Kingdom, Pakistan, and Saudi Arabia are aiding Jundallah, although the United States has designated it a terrorist organization. Some Jundallah members, including Abdolhamid Rigi, the founder’s younger brother, have called for outside support. “Our determination is mightier than the mountains, and if we are provided with a little backup from outside, we have the guts to take over, if not Tehran, at least the Sunni majority province of Iranian Baluchestan within a week’s time,” he said, in 2006. Jundallah’s strategy draws on traditional guerilla and terrorist tactics. It uses geographically isolated areas, such as mountains and territory in neighboring Pakistan, as rear bases and training facilities. It cultivates popular support to recruit. It uses harassment and hit-and-run tactics against military targets. Like many terrorist groups, Jundallah has an extreme ideology and a decentralized or “cellular” structure. It kidnaps and beheads civilian targets to coerce. Most fighters are recruited from religious seminaries in both Iran and Pakistan. Rigi has claimed that between 20 and 50 operatives are trained each month in its mountain bases in Sistan-e Baluchestan. The majority are then sent into the field. Some 200 members maintain mountain bases. The Islamic Republic has been aggressive in combating Jundallah. It has assassinated members as well as arrested, tortured and executed leaders. In 2010, Iran captured Rigi in a commando operation. His trial and execution at Evin Prison were highly publicized. The organization is now led by Muhammad Dhahir Baluch, about whom very little is known. Historically, Iran and Pakistan have both taken an interest in combatting Baluch insurgent groups. Pakistan participated in the operation that nabbed Rigi, although Tehran later charged that Pakistani intelligence provided Jundallah with clandestine support—a claim Islamabad has vehemently denied. Jundallah has reportedly received aid from other Baluch in Pakistani Baluchistan, so Iran has taken measures to prevent cross-border activity. Jaish ul Adl, or “Army of Justice,” is another Baluch Sunni Islamist group in Sistan-e Baluchestan. It is one of many splinter organizations that emerged from Jundallah after Rigi was executed. Since 2013, it has become one of the most active movements. The Iranian government recognizes it as the successor of Jundallah, as it appears to wield more power and influence than other splinter organizations. It has reportedly absorbed the majority of Jundallah’s responsibilities and activities as the flagship of Iranian Baluch resistance. It has carried out some of the major attacks since Rigi’s execution. Iranian state media has alleged that Saudi Arabia and the United States are key backers of the group. The group’s logo is green, with the name of the organization in Arabic on the top and in English on the bottom. It includes a silhouette of the scales of justice, both hanging from an assault rifle. A pair of sabers are crossed above a Koran. Its top two leaders are Salahoodin Farooqi and his second-in-command Mullah Omar (not related to the former leader of the Afghan Taliban). But little is known about other leaders. The group allegedly has ties to al Qaeda cells in Pakistan. It has voiced support for the Sunni opposition in Syria’s civil war as well as for Iranian Kurdish separatists. Jaish ul Adl conducts cross-border raids between Iran and Pakistan. It uses Pakistani territory as a rear base for activities in Iran. Some leaders are based there, a contentious issue between Tehran and Islamabad. The deadliest attacks have been kidnappings of and ambushes on Iranian border guards near the Pakistani border. Its fighters use guerilla swarm-and-scatter tactics—primarily with small arms and rocket fire—on border outposts and transportation convoys. The group has claimed for responsibility attacks that killed 14 border guards in October 2013, eight border guards in April 2015 and 10 border guards in April 2017. Jaish ul Adl extensively promotes its operations online, especially on YouTube. Unlike other rebel groups, its fighters often do not retreat. In videos, militants close in on the government forces and engage them at close range. Its fighters also use infrared technology during nighttime raids on government facilities. The combination of discipline, hypermobility, knowledge of the terrain, innovation, and a logistical support apparatus has made Jash ul Adl one of the deadliest Baluch rebel groups. Harakat Ansar Iran, or “Movement for the Partisans of Iran,” is a third Baluch Sunni Islamist militant group in Sistan-e Baluchestan. It is considered to be a splinter from Jundallah, although more active in propagating Salafist ideology. It was primarily active from 2012 to 2013, until it merged with another Baluch militant group, Hizbul Furqan, to establish the larger Ansar al Furqan. The organization reportedly received funding from Gulf states, where it operated websites appealing for patronage. Other reports claim it has received patronage from the Pakistani Sunni extremist group Sipah-e-Sahaba Pakistan, which has supported Sunni extremist and anti-Shiite groups such as Lashkar-e Jhangvi and the Tehrik-i-Taliban Pakistan (the Pakistani incarnation of the Taliban). The flag of Harakat Ansar Iran shows the silhouette of two shamshir sabers crossed with the map of Iran between them. The swords are flanked by palm trees. “Allahu Akbar,” or “God is great,” is written above the central image. Harakt Ansar Iran has targeted the government, Shiite mosques, and other symbols of the Islamic Republic. In 2013, its leaders agreed to a merger with Hizbul Furqan, although reports in 2014 claimed Harakt Ansar Iran had re-emerged with new vows to Iran for supporting Syrian President Bashar al Assad. This latest incarnation of Harakat Ansar Iran could be a holdover from before the merger or may be a different organization that has assumed the same name. Harakat Ansar Iran, or its supporters, has active social media and propaganda apparatuses. 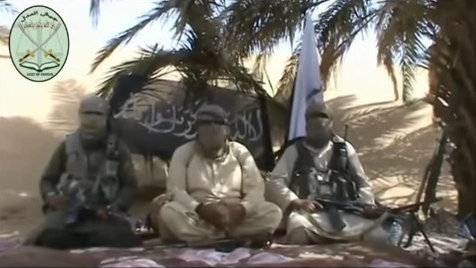 Ansar al Furqan, or “Guardians of the Criterion,” is a fourth Baluch militant group operating in Sistan-e Baluchestan. It represents the merger, in 2013, between Harakat Ansar Iran and Hizbul Furqan. Iran reported that its leader, Hesham Azizi, was killed by Iranian security forces in 2015. Abu Hafs al Baluchi took over afterward. The organization’s flag has a black background and the Shahada, “There is no god but god. Muhammad is his messenger,” in white Arabic calligraphy. Members of the organization have also been photographed with variations of the flag, sometimes with black text on a white background, for example. Iranian sources charge that Ansar al Furqan is receiving support primarily from the Gulf States. Nicholas Cappuccino was a research assistant at the Woodrow Wilson International Center for Scholars in 2016.